Every November a group of us, the history girls go away to Ludlow in Shropshire for the Medieval Fayre. 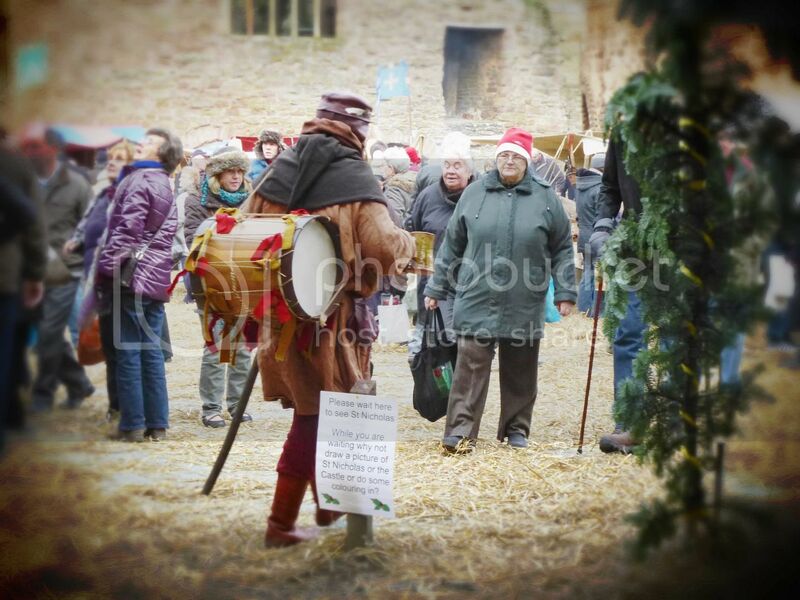 It's our time to talk about all things 15th century, drink mulled wine and mooch around a castle in the chilly air watching performers and dancing to hurdy-gurdys. In the evening we go for a meal, there's a pub that sells pies - lots of pies in loads of different flavours - wedgie vedgie popeye pie is my favourite, perfect stodge food on a cold night and then there are the pubs, haunted ones or several other restaurants - Ludlow is renowned for being a foodie place. On this Medieval weekend, everywhere is packed and full of re-enactors and happy festive feeling people. So......I need to be warm but also look nice so I've been thinking about what I might wear. I love black and so really wanted a classy black ladies top and black skinny trousers. Boots that are striking against the black are on my list and a coat that will keep me warm against the winds from the Welsh Marches but look glamorous too. I don't wear much jewellery but I'd love a pretty rose gold watch to add some sparkle. Black faux leather skinny trousers, Oasis, £40 A perfect edgy look for autumn. Rose Gold Radley Watch, F Hinds £ 85 Just so cute with the Radley dog charm on it. 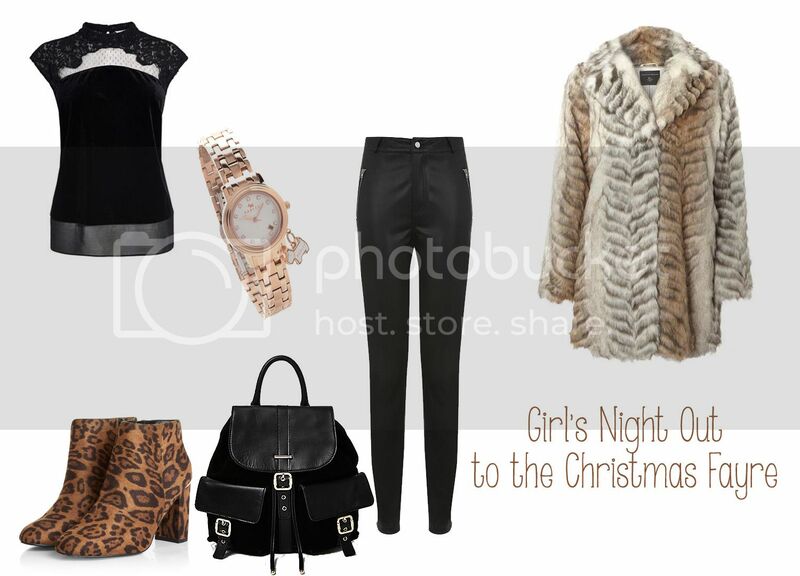 Faux fur coat, Dorothy Perkins £ 69. Snug and glam. Can't wait now to get to our cottage we are staying in and then walk into Ludlow town for a bit of shopping and lots to see. We always have such a laugh and it's the event I really look forward to every year. 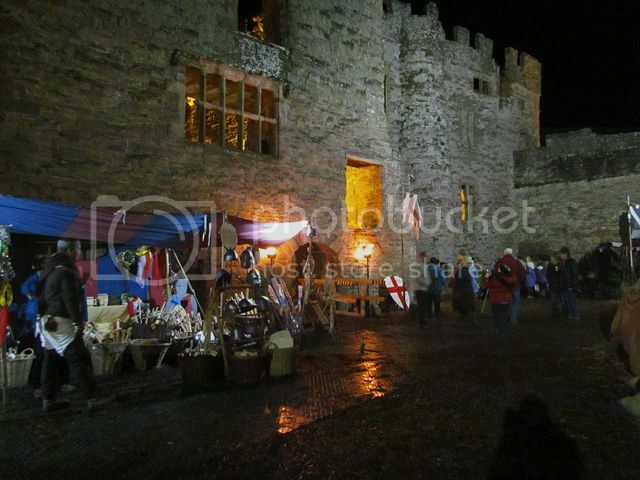 Ludlow Medieval Fayre is on from November 26th to the 27th.